Are you interested in hosting a special event or fundraiser to benefit Cooley Dickinson? We are so grateful for the many special events that are hosted by Cooley supporters throughout our community, like you! Take the first step and download our 3rd party fundraising event form below; or, contact our development office at (413) 582-2255. 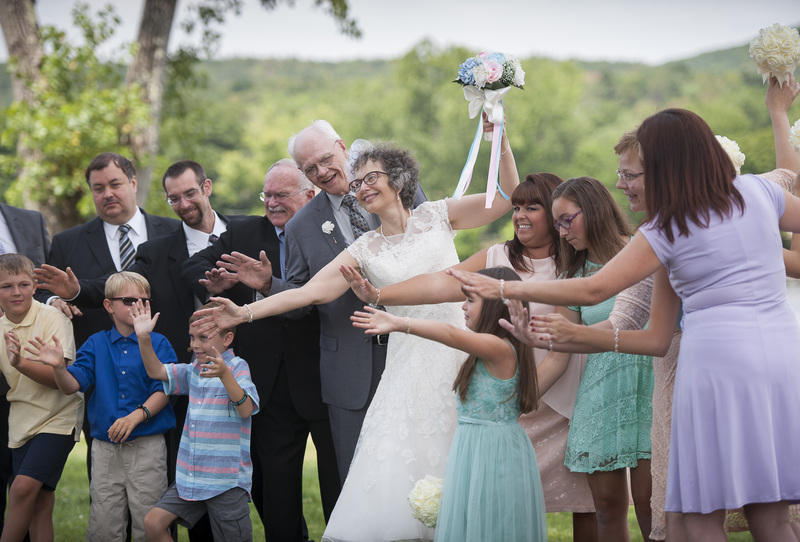 Their wedding on July 30, 2016 proved to be a boon for the MassGeneral Cancer Center at Cooley Dickinson. That’s because Nikki and Larry designated all their wedding gifts to the Center that saved Nikki’s life. “I had three great reasons to do this,” says Nikki. #1 There would be no wedding if it weren’t for the Center. #2. Nobody had to figure out what to give.